Mom and son take a nice break from playing in the sand an ocean. The bright colors of the beach toys and umbrellas shine through the fog. During the summer everyday is a beach day in the hamptons. Photo taken during a family portrait session in Southampton, New York. Location: southampton, new york . 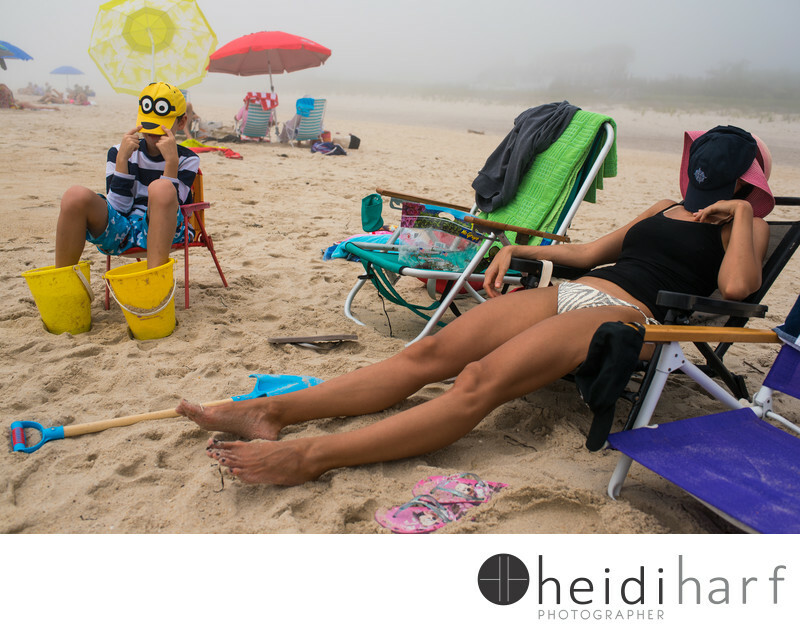 Keywords: best hamptons beach photographer (12), coopers beach (6), Families (27), hamptons beach photos (15), hamptons portrait photographer (30), kids (87), little plains beach (6), Outdoor (18), southampton portrait (6), southampton portrait photographer (9).